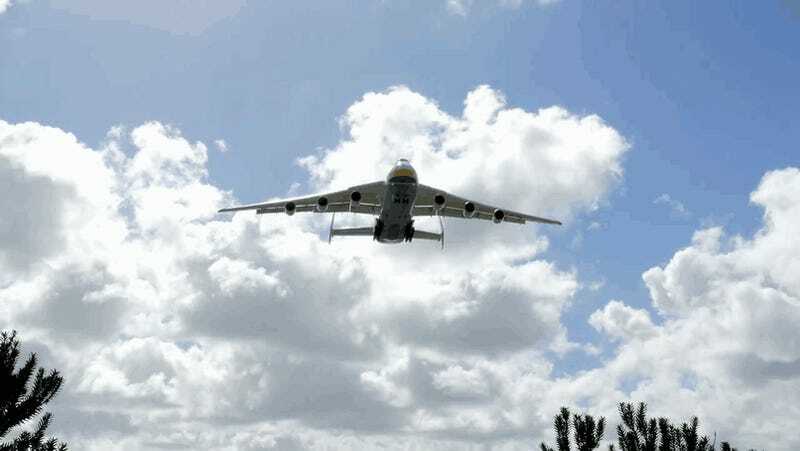 The Antonov An-225 Mriya is bigger than any Airbus, bigger than any Boeing. Originally designed to transport a Soviet space shuttle, the lone example uses its six jet engines to fly freight around the world, holding the payload record of 559,577 pounds. This is what it looks like when it’s flying right over your head. I know how physics is supposed to work, on an intellectual level. I understand gravity, lift, Bernoulli’s principle, thrust, pretty much everything you’d need to have a basic idea of an airplane. I do not understand how this thing stays in the air.